The Preston Marriott Hotel offers warm hospitality in an outstanding setting. Marriott work in partnership with the leading houses in the beauty industry, from the excellent Jessica and Minx Nails, the award winning Decleor Skincare company, renowned St Tropez tanning and celebrity favourite Mii brows to name but a few, enabling us to cater for all your grooming needs under one roof. The spa offers treatments from a simple re-polish in a lunch hour, targeted trouble shooting or anti-aging facials, a sublime candle lit relaxing massage to start the weekend, or a delightful whole day of blissful pampering in splendour for a special occasion, or simply just because you're worth it! Indulge yourself in the tranquil spa at the Preston Marriott Hotel. 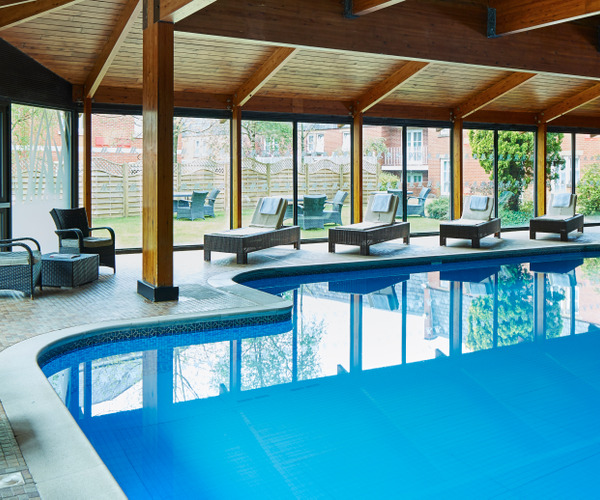 Our treatments range from a simple polish or facial, or you can select from our various spa days and delight yourself in a whole day of pampering. And the gym features cardiovascualr equipement, free weights and complimentary fitness classes. Special guest priveleges include complimentary access to the pool and leisure club. Make yourself at home in our rooms and suites, which offer graceful design and a wealth of amenities. 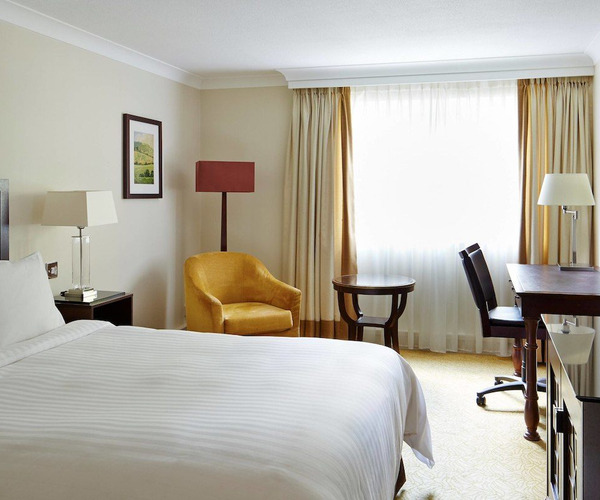 Enjoy thoughtful perks including air conditioning and deluxe bedding in your hotel accommodation. Many of our accommodations offer picturesque views of the country, and all offer coffee/tea service. Order 24-hour room service and enjoy a meal whenever you'd like during your Lancashire hotel visit. There are three excellent dining options at the hotel; including the Cast Iron Grill. Located in a section of the hotel dating back to the Victorian era, in this restaurant you can devour a range of big flavoured steaks, gourmet burgers, superfood salads and melt in your mouth desserts, as you gaze out over the hotel lawn. Fuel up for a productive day in Preston, Lancashire at Tempo, which features a full menu of Paddy & Scotts specialty coffee beverages, as well as pastries and light bites. Our hotel bar serves shareable plates and light snacks, as well as all types of cocktails and craft beers. Enjoy drinks with family or acquaintances in a friendly atmosphere. Be sure to stop by for afternoon tea, too.